A Syrian rebel group is preparing to put a young Briton who fought for ISIS on trial, saying it has not heard from British authorities about his fate. 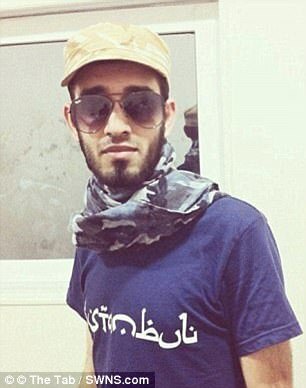 Shabazz Suleman 22, from High Wycombe, joined Islamic State in 2014 and was captured by the Northern Brigade, part of the Free Syrian Army, in October last year. Abu Alaa, a security officer from the brigade, told The Telegraph: ‘There is no negotiation with the British authorities at all, they are not interested in him.